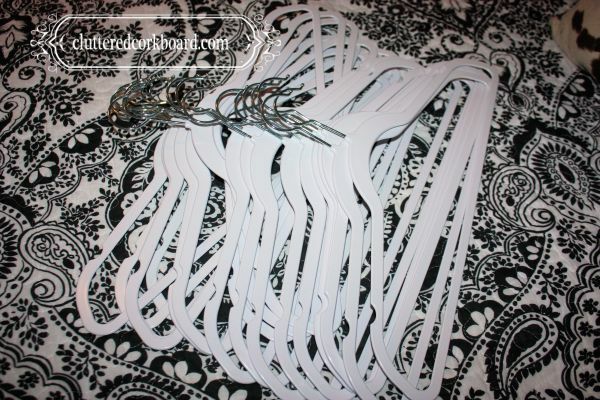 So I figured out how many hangers that I actually needed, and purchased more. to use and stream line the closets! Here is a peak at the before of the hanger situation..
A hodge podge of hangers..
additional hangers I had purchased. So I went through the entire closet, and got to work. Plus while I was at it, found some clothes to donate as well. Win, Win! considering making some built in's etc. 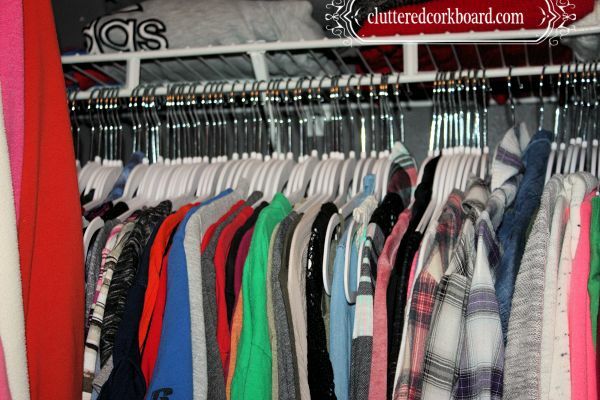 Any tips on organizing your closet? Please share. It looks great! I love the look of having all the hangers coordinated and a huge plus if it saves space and inspired you to get rid of some clothes that you weren't using in the process! 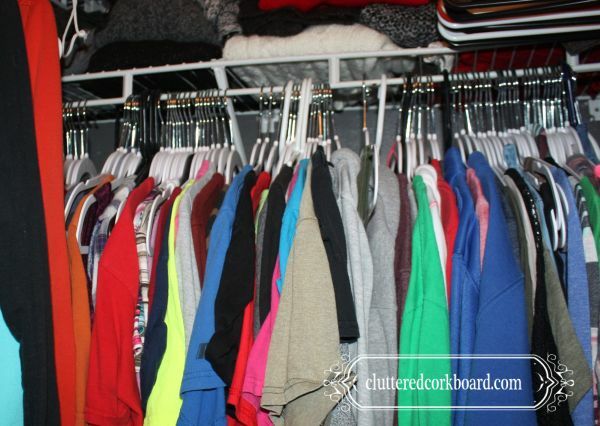 It is so much nicer to walk in a room (or closet) and feel like things are in order.. Thanks for stopping by.